TACOMA, Wash. – The Oly Town Artesians played their first competitive games at the Northwest Indoor Socer Invitational at the Tacoma Soccer Center on Saturday afternoon. Mike Rancipher scored the first goal in club history and Matt Stalnik scored three goals in three 24 minute preseason games. The Artesians scored a 1-1 draw against the Arlington Aviators, fell 2-1 to South Sound United and dropped their final game to the Snohomish Skyhawks, 4-2. In the first game, Mike Rancipher got the Artesians on the board for the first time ever with a rocket shot from the top of the box. Oly Town played outstanding defense for the next ten minutes until the Aviators finally broke through and tied the game up. Time ran out and the Artesians registered their first ever point with a 1-1 draw. Matt Stalnik scored the first of his three goals on the day with a goal at the 16 minute mark in game two. But South Sound United took advantage of a mistake in front of the keeper and tied the game up just a minute later and would take the lead with just three minutes left to play to take the 2-1 win. In game three, with defenseman Guillermo Martinez out and only ten remaining Artesians available, the Snohomish Skyhawks used their depth and took a 2-0 lead in the first ten minutes of the game. Stalnik cut the lead to 2-1 with a goal in the 12th minute and following another Skyhawks goal, got the Artesians to within one again at 3-2 on an assist from Rancipher on a 2-1 break. But Snohomish would finish things off with a goal at the 5:11 mark and would prevail, 4-2. Oly Town keeper Mauricio Sanchez played outstanding in all three games making save after save throughout the day. Carlos Dextre and Martin Ramirez just barely missed multiple goals and Dyson Fowler, Greg Wolfe, Kevin Dlugos, Noel Vazquez and Tyler Sharp each put in a great effort over three games. The Seattle Impact Reserves won the Invitational championship later in the evening with a 3-1 win over the Tacoma Stars. 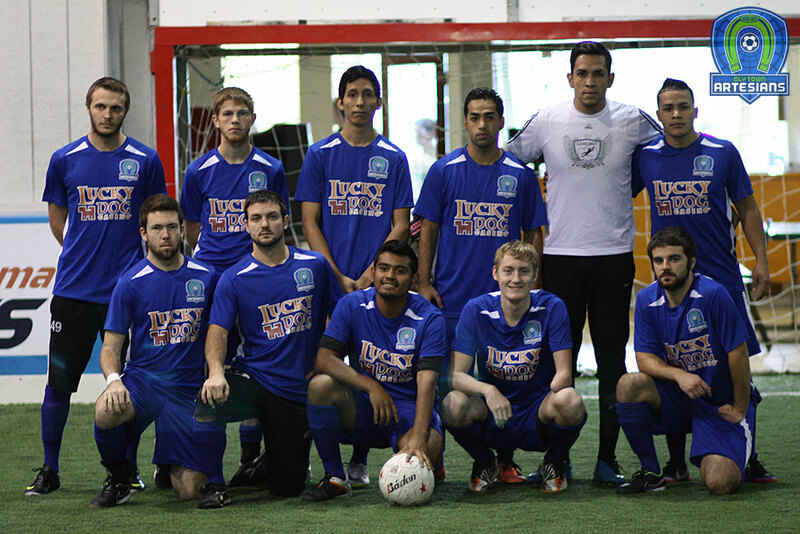 The Artesians now turn their attention toward the Western Indoor Soccer League’s regular season. The Tacoma Stars come to Olympia Indoor Soccer on November 22nd at 6:00 PM. To purchase tickets and for more information, visit the Artesians at olytownfc.com.